How Do I Know What Interpreting Agency to Work For? Last year, audiences watched in disbelief as the South African sign language interpreter for Nelson Mandela’s memorial service earned the nickname “the fake interpreter.” Insulted, but not entirely surprised, the global deaf community used this public example to bring attention to an unfortunately common problem. The agencies which provide interpreters, even for large televised events, aren’t always looking out for the best interest of the communities they serve. When interpreting agencies assign unqualified interpreters to jobs, they are denying equal access– it happens at hospitals, police stations, and court rooms alike. 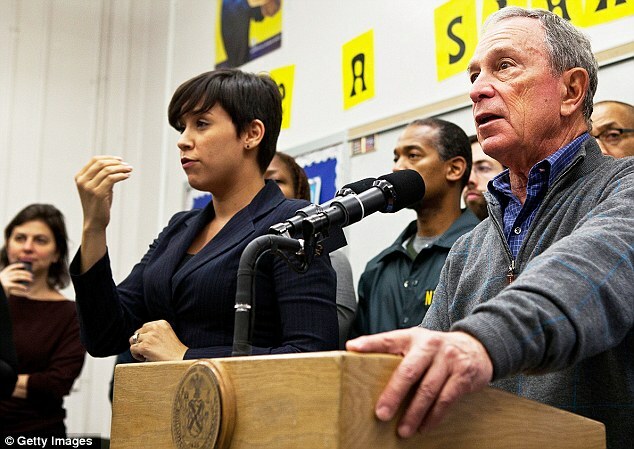 From the very start of our careers, interpreters should aware that these agencies are unethical, and that it is our professional responsibility to ensure access for the deaf is provided. Novice interpreters graduate from their Interpreter Training Program (ITP) eager to begin serving the deaf community. For many, this means moving to a large metropolitan area, a place where they may not be familiar with the community, the neighborhoods, or the job opportunities available. When I first moved to New York City, I just wanted to get right to work! I have learned that professional responsibility starts right here, at this juncture. If you recently relocated or graduated from an ITP program, there are ways to ensure you are working for a reputable agency that cares about the quality of the interpreters that they provide to the deaf community. Looking for agencies that are Deaf or sign language interpreter owned and operated is a good first step. People who live and work in the deaf community understand the importance of matching a deaf consumer with a skilled qualified interpreter. They can recognize any issues which might arise between interpreters and clients, and advocate for the deaf consumer when needed. Multiple language interpreting agencies are often unfamiliar with deaf specific issues, making them less qualified to mediate these types of cultural misunderstandings. Research agencies to ensure they adhere to RID/NAD standards. The Registry of Interpreters for the Deaf (RID) is a professional organization which strives to provide consistent and ethical sign language interpreters. The National Association of the Deaf (NAD) is a civil rights organization by and for deaf people, representing the interest of deaf and hard of hearing individuals across the United States. Together RID and NAD have developed a Code of Professional Conduct, a set standard practices and expectations for interpreters that protects the rights of deaf consumers. It is crucial that any agency an ASL interpreter applies to is not only familiar with, but in strict adherence of these policies. It shows respect for deaf consumers and a desire to provide the highest quality ethical interpreting services. When applying to an interpreting agency, find out how they treat their employees and pay careful attention to the hiring process. It is important that the agency have an accurate interview and screening process, which will include assessment by a deaf or hearing interpreter to appropriately evaluate each new interpreter’s skill set. A quality interpreting agency will know their interpreter’s strengths and weaknesses, and distribute assignments accordingly. Seek out agencies that follow community standards and protocol to ensure interpreters are taken care of. Assignment details should provide as much depth as possible to help prepare interpreters for any demands that may arise. An agency which demonstrates concern for its’ interpreters will work within the Demand-Control schema to reduce occupational stressors, allowing interpreters to perform at the highest possible level. Assignment details are so critical for interpreters because we are synthesizing conversations based on a specific situation. If we do not have the correct information, or have an incomplete picture, we will be doing a disservice to the deaf consumer. 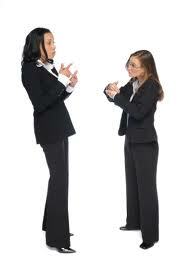 One difference between spoken language interpreters and sign language interpreters is team interpreting. When interpreting a verbal language into a physical one, ASL interpreters become prone to both physical and mental fatigue. After one hour of interpreting alone, even the best sign language interpreter will be providing a lower quality of service. ASL interpreters should make sure any agency they apply to regularly provides team interpreting for assignments. Not every situation requires a team of interpreters, but many do and it’s best to look for agencies that are ready to provide interpreters with support in the field. Before you sign a contract with any agency, be sure you read it very thoroughly and that you agree to the terms. If you find any questionable items in the contract, bring it back to the agency to discuss how your needs can be met. Look for the following items: a cancellation policy that ensures pay for the interpreter if the assignment is cancelled without 24-48 hours notice; a policy that states payment will be made within 14-45 days of an assignment; and pay that follows the cost of living standards for your area. Whether you live in a city or rural area has a big impact on your income. Learn the standard rates for non-certified and certified ASL interpreters in your city, and seek out an agency that provides all interpreters a fair hourly wage. When working for an organization that understands the deaf community, and truly cares about the quality of services they provide, interpreters will find they are better supported and able to focus. Look for agencies which emphasize the RID/NAD Code of Professional Conduct and have connections to deaf culture. At the end of the day, the people who suffer most when unqualified interpreters are assigned to jobs are deaf consumers. If an interpreter lacks the skill set to perform a specific task, and the agency does not recognize this, the deaf person is denied access. By partnering with ethical, consumer-focused agencies, sign language interpreters choose to support professionally responsible business practices. Beyond that, they choose to support equal access– and that’s what this job is all about! 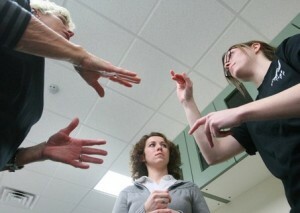 If you are seeking a professional ASL interpreting mentor, my services are available. It is critical for interpreters to continuously develop their professional skills at every step of their career. LC Interpreting Services is deeply involved with the deaf community, focused on deaf consumers, and passionate about providing equal access in all situations. If you are looking for career guidance and information about reputable agencies, LCIS would be happy to help! ← Can Digital Devices Replace Interpreters?